Joseph Rosebush Sr and his descendants. - another work of Mildred Sussell's is on the Famly History Library web site - the whole work can be downloaded as a pdf. Mildred Sussel's work is widely regarded and of the highest standard. Permission has been given by Aaron Sussell and Ardis Sussell for the work to be posted on this website. Thanks are expressed to Mark Davenport for making this all happen. The links to each chapter are below. Copyright: © 2008 The family of Mildred E. Sussell. Mildred (Shores) Sussell was raised on a farm near Lowell, Michigan. Although her parents' formal education ended with eighth grade, they encouraged their daughter's passion for learning. 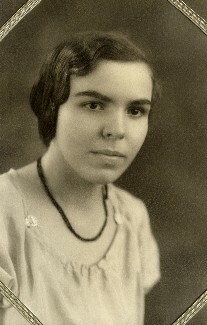 Mildred graduated early from high school (as salutatorian), received training as a rural teacher at Barry County Normal, and began her elementary teaching career in a one-room schoolhouse at age 18. She later completed a Bachelor's degree in elementary education from Central Michigan University (1947) and a Master's in Education from Michigan State University (1963). While teaching in Jackson, Michigan, she met Edward P. Sussell, a college instructor and the son of Russian Jewish immigrants. They were married in 1952, and in 1953 her daughter Ardis was born. Millie and Ed also cared for foster children and adopted a son and a daughter, Aaron and Karen. She enjoyed her years as a homemaker, and she served as a leader in many of the organizations her children were involved with: PTA, scouting, and 4-H. Weekends and vacations were often spent on outings with the Michigan Audubon Society or exploring the continent via travel trailer -- a continuation of a love of nature born on the farm and a love of travel discovered as a young woman, when Mildred traveled by train to attend summer school at the University of Colorado and drove solo from the West Coast to Michigan en route home from a camping adventure with friends. In retirement Mildred became interested in genealogy, and did extensive research on her family as well as Edward's family. She was descended from English immigrants; her ancestors include both patriots of the American Revolution and Canadian loyalists. Genealogy trips took her across the U.S and to England, Scotland and Canada. For years she volunteered at the Jackson (Michigan) District Library, where she helped others research their family histories. Some of her genealogy works can be found at that library. She was also active in the Jackson County Genealogical Society, and many of her papers were donated to their library. Mildred died on her 87th birthday, August 27th, 2004. She was survived by two sisters and her children. Her genealogical research remains as her legacy. Examine the Family Name Index that Mildred created in Part 1 of each volume. Use the binocular icon on the left of each screen. Be aware that the scanning is not 100% accurate at converting the printed words into text due to the odd smudge or poorly printed character. Chap 8: Unidentified Waltermeyers in the area ... 82. Mildred would be the first to welcome these corrections or additions to her work. Send them to me for inclusion on the Addendum web page.